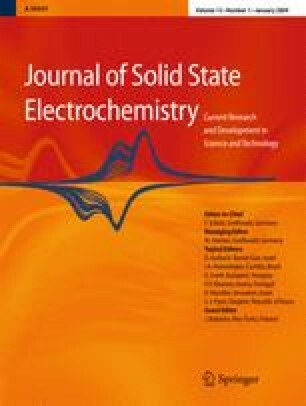 High-integrity solid-contact (SC) polymeric ion sensors have been produced by using spin casting and electropolymerization techniques in the preparation of the SC employing the conductive polymer, poly(3-octylthiophene) (POT). The physical and chemical integrity of the POT SCs have been evaluated using scanning electron microscopy (SEM), atomic force microscopy (AFM), secondary ion mass spectrometry (SIMS), and X-ray photoelectron spectroscopy (XPS). Furthermore, the electrochemical stability of SC polymeric ion sensors has been investigated using electrochemical impedance spectroscopy (EIS). The results of this study demonstrate that electropolymerization and spin casting methods also comprising annealing of the synthesized SC film are capable of producing SCs that are relatively free of imperfections such as pores and pinholes. This leads to electrochemically stable and robust polymeric ion sensors where the SC/sensor interface is resistant to the formation of a detrimental water layer that normally gives rise to spurious ion fluxes and a degradation in the sensitivity and selectivity of the SC polymeric ion sensor. The authors acknowledge the financial support of the Australian Research Council (LX0454397 and DP0665400), Australian Institute of Nuclear Science and Engineering, National Institutes of Health (EB002189) and Swiss National Foundation. We also thank Mr. Armand Atanacio at ANSTO for assistance with the SIMS research, and Mr. Chris Bassell at the University of South Australia for assistance with the XPS analyses.